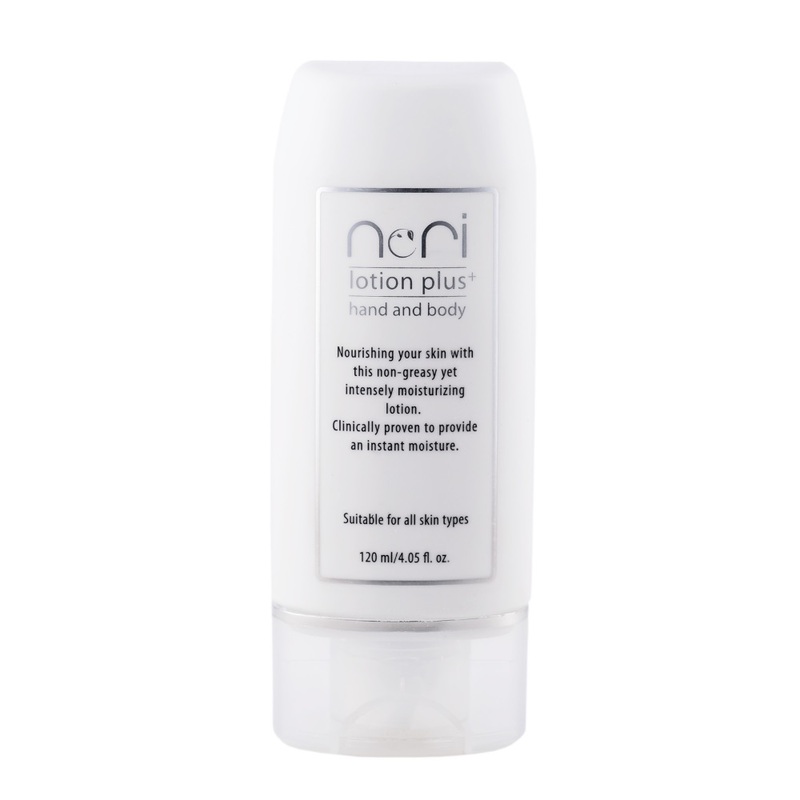 Nori Lotion Plus nourishes your skin with this non-greasy yet intensely moisturizing lotion. Clinically proven to provide an instant moisture. Aqua, Caprylic / Capric Triglyceride,, Cetearyl Alcohol, Stearic Acid, Cetyl Alcohol, Glycerin, Fragrance, Ceteareth-20, Phenoxyethanol, Methylparaben, Isopropyl Palmitate, Dimethicone, Plukenetia Volubilis Seed Oil, Propylene Glycol, Propylparaben, Carbomer, Hydroxyethyl Urea, Glyceryl Stearate, Tetrasodium EDTA, Beeswax, Methylsilanol Mannuronate, Ceteareth-12, Cetyl Palmitate, Vitis Vinifera (Grape) Seed Extract, Sodium Benzoate, Tocopherol, Butylparaben, Ethylparaben. Apply nori Lotion Plus directly to moist skin. Use daily on the hand and body.